In a world where psychological factor of human being can be determined, Akane Tsunemori, a police inspector who work at Criminal Investigation Department, have just been called to do her first job. With the help of “Enforcer”, a group latent criminal, Akane must apprehend the criminal that has risen in the city. But with different perception of justice between Akane and the Criminal Investigation Department (CID), a new trouble has brewing, waiting to happen. 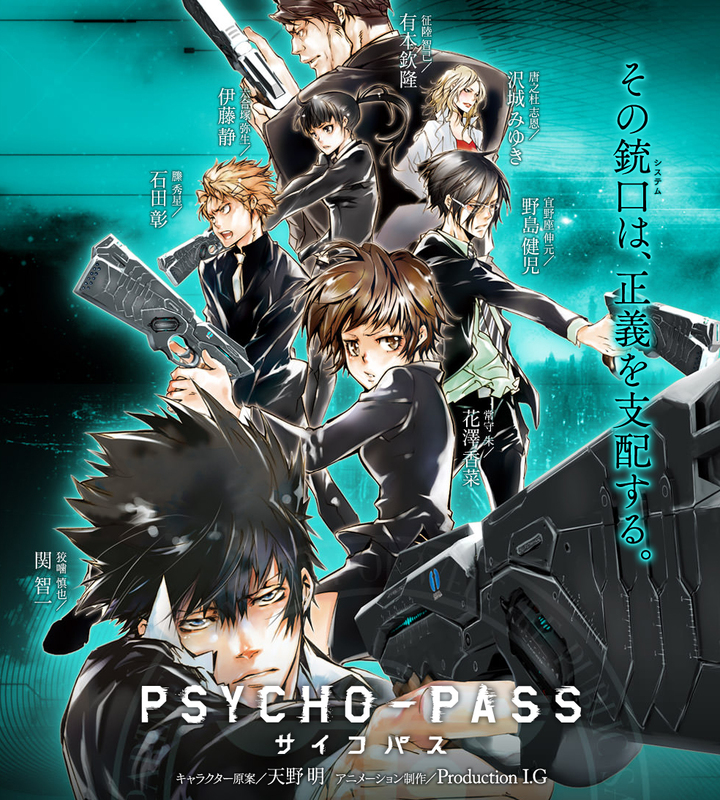 Psycho Pass takes you to the world of future, where the inside of human mind can be analyzed, rated, and judged. 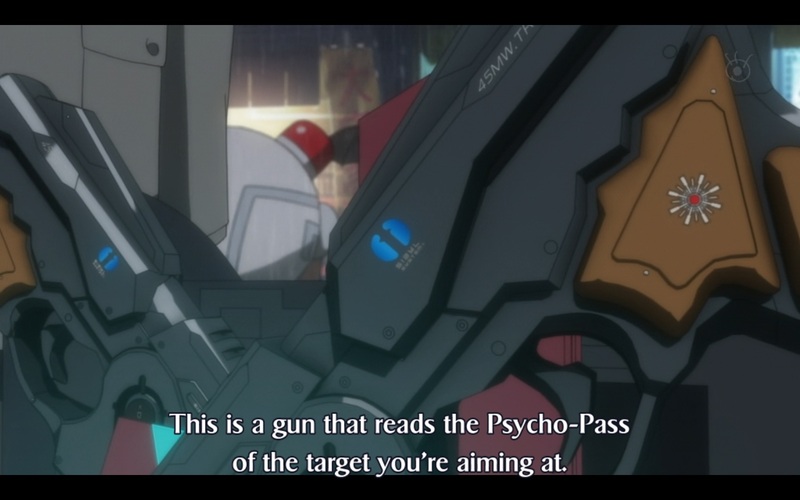 The term Psycho Pass was most likely the Psychological Passport, where information of your mind is monitored. With the help of the City System, the Enforcer was given the task to captured or executed criminals in the spot. 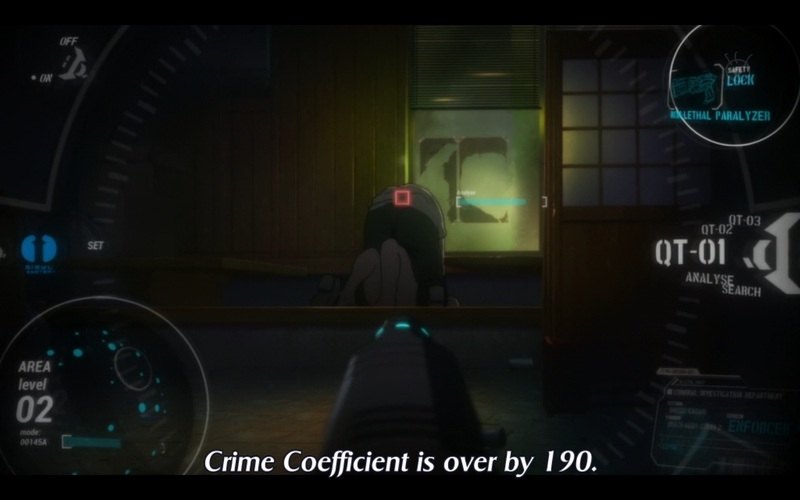 The weapon called Dominator, a gun-like weapon that can change shape, help to measure the criminal rating system called Crime Coefficient. If it passed a certain point, the Paralyzer inside the Dominator turns into the Eliminator. 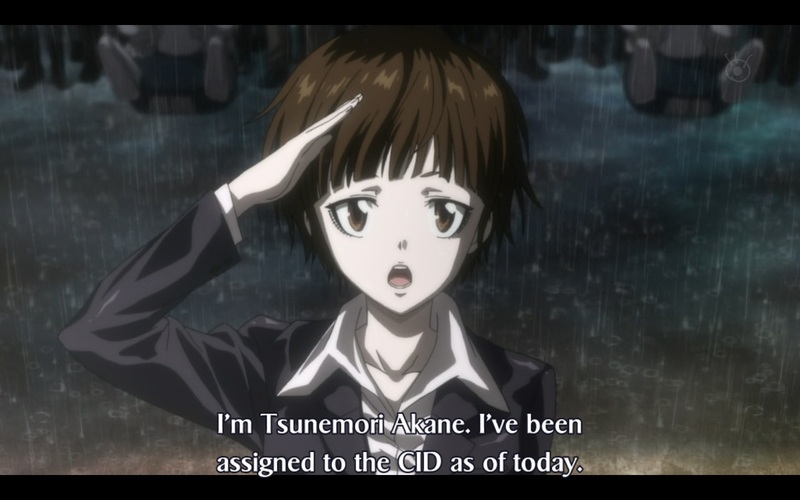 Akane Tsunemori, one of the main character and the heroine, is the new police inspector in the CID. With the honest-to-god, gullible, and kind personality, she always tried to help the criminal to change their way, without heeding with the Crime Coefficient. Despite her colleague action, she tried to apply her sense of justice by neglecting the Town System Criteria. Shinya Kogami, the protagonist in the story, is a former criminal that convert to work with the police. Having a calm, composed, and tough personality, he has perfectly matched the title of “The Lone Wolf”. Dedicated in his job, he will take any action to handle the criminal given by the Town System. He is a man without mercy, a cold-blooded human that has no sense of guilt in killing his perpetrator. Although the opening Anime action was somewhat lacking sense of combat, the opening song was rather appropriate to picture the confused world. I also loved the ending song, clearly able to convey the sense of “The Road I Walk” environment. There are many paces in the story, many environments to tell, and the BGM are able to convey every situation appropriately. 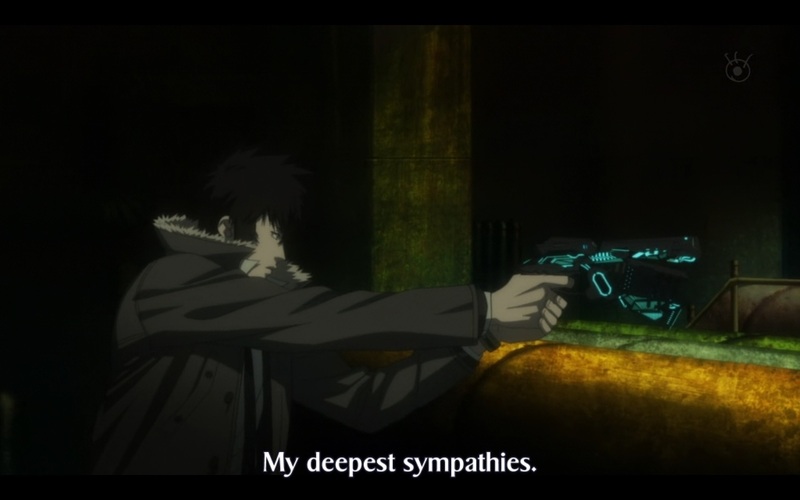 With the dark aura surrounding the entire Anime, seriousness is the main component in the story. You can tell the story doesn’t have much comedy, even though there are goofy characters playing the part. You might notice that every characters eye doesn’t change much with their reaction, conveying the focused sensation around them. 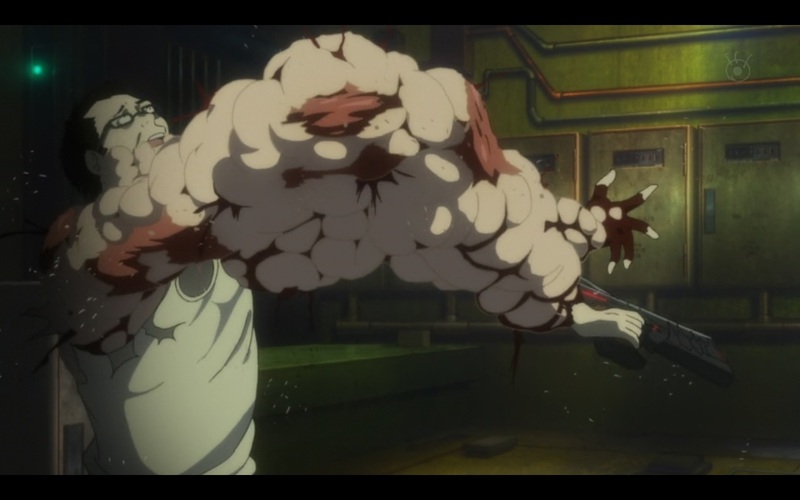 Since episode 1 was centered on the Heroine, the Protagonist has a little action. Despite that, I actually like the story development. As expected from the Production IG who made many Anime before, they were able to manipulate the watcher hearts. It has a new, interesting concept that every police department might want to have. When they made a game based on this Anime, I will most certainly play it. 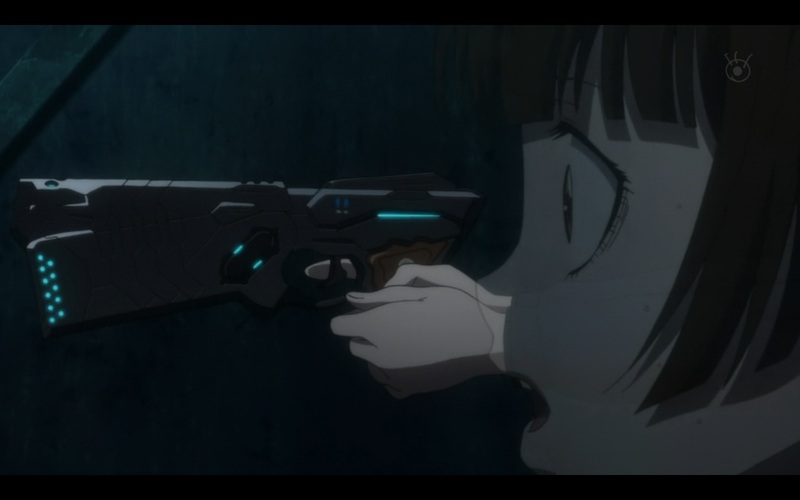 If you tired with a gag, Moe, and rowdy Anime with a hint of wanton, Psycho Pass is truly a refreshing change of pace.